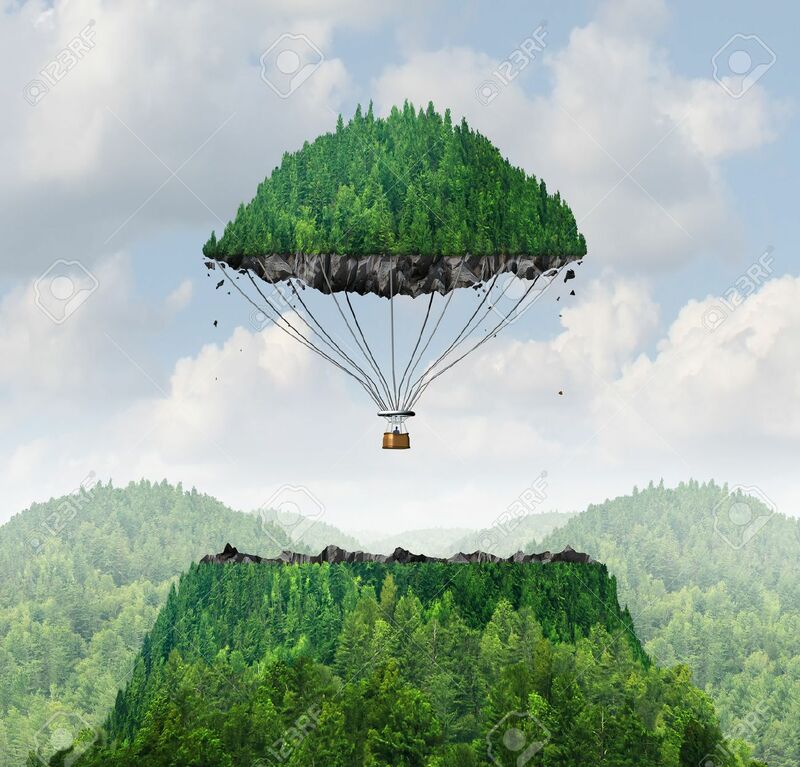 Imagination Concept As A Person Lifting Off With A Detached Top Of A Mountain Floating Up To The Sky As A Hot Air Balloon As A Metaphor For The Power Of Imagining Traveling And Dreaming Of Moving Mountains. Фотография, картинки, изображения и сток-фотография без роялти. Image 39281319. Фото со стока - Imagination concept as a person lifting off with a detached top of a mountain floating up to the sky as a hot air balloon as a metaphor for the power of imagining traveling and dreaming of moving mountains.